Millennium 7 Publishing Co.: 7 Organic Social Media Prospecting Tips? 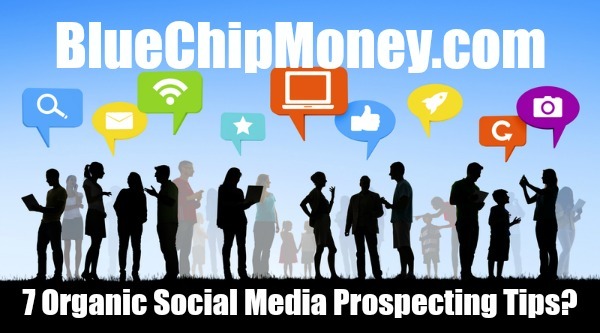 7 Organic Social Media Prospecting Tips? 7 ways to organically use social media for prospecting..
Social media has become one of the most important sales and marketing tools for today's companies. You can draw in and convert a lot of new leads with timely, relevant social posts. But your approach to creating and sharing content matters: If your posts feel overly sales-oriented and not organic or authentic, you won't get very far with potential customers. The basic problem solved by social media is one of access and voice. Without social media, one does not have access to their prospects nearly as often, nor do their prospects have access to them the same way. Savvy customers can see past "snake oil salesmen" and are similarly adept at assessing the authenticity of a company's social media presence. Guest Authored By Forbes Business Development Council. Forbes Business Council is an invitation-only organization for senior-level sales and business development executives. Follow Forbes Business Development Council on Twitter.